Email templates are the framework for your email marketing messages—they make messages appear clean, focused, and professional. With Marketing Campaigns, we provide the tools to create and collaborate on any number of email templates. Marketing Campaigns comes pre-loaded with professionally designed, responsive email templates so you can get up and running as fast as possible. You can also create custom templates and save them for use on future campaigns. The responsive template layouts within Marketing Campaigns were designed with mobile in mind and ensure your email displays well across devices of all sizes. You can use Marketing Campaigns to develop new and unique email template designs for use on any of your campaigns. 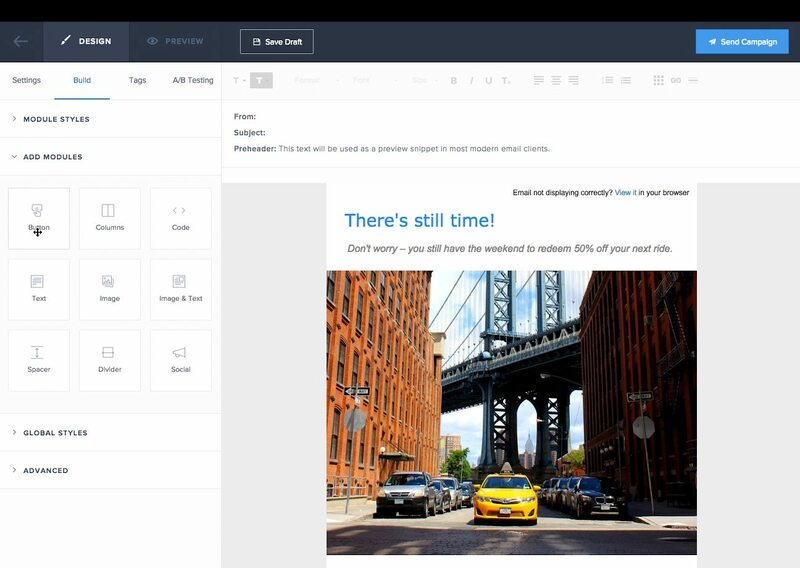 Marketing Campaigns makes it easy to import HTML or develop new templates with the drag & drop editor.